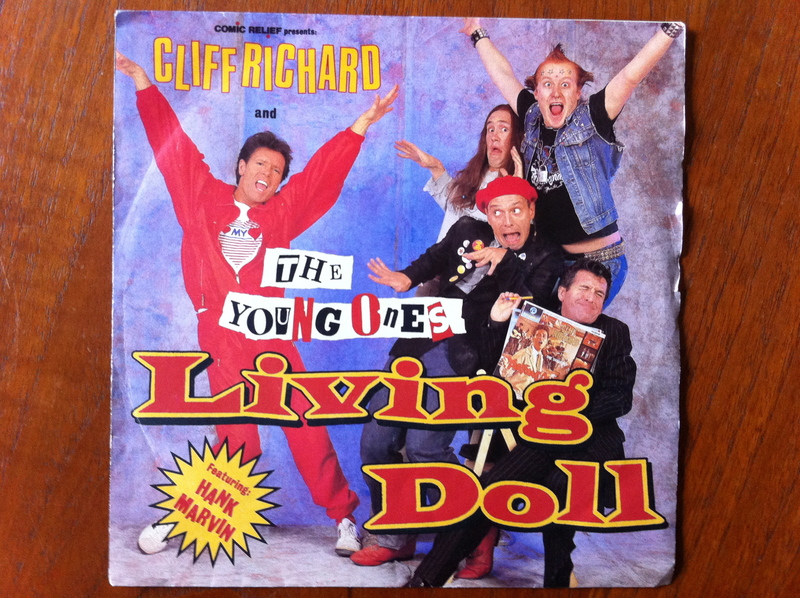 …Bought Cliff Richard and The Young Ones today. I absolutely loved this record when it came out. I thought it was utterly hilarious. I played it over and over again on the tiny, battery-powered portable record player I had in my bedroom, which had been bought for me as a birthday present a couple of years earlier. Yet, being barely 10 years old, I’m sure I can’t have had the faintest idea who The Young Ones were. I’d certainly never seen them on television. I’m trying to imagine how I must have rationalised their involvement in a duet with Cliff (of whom I certainly was aware). Perhaps I thought they were a sort of novelty pop group. Or a troupe of performers like the Grumbleweeds. I’m sure they would’ve been talked about at school. 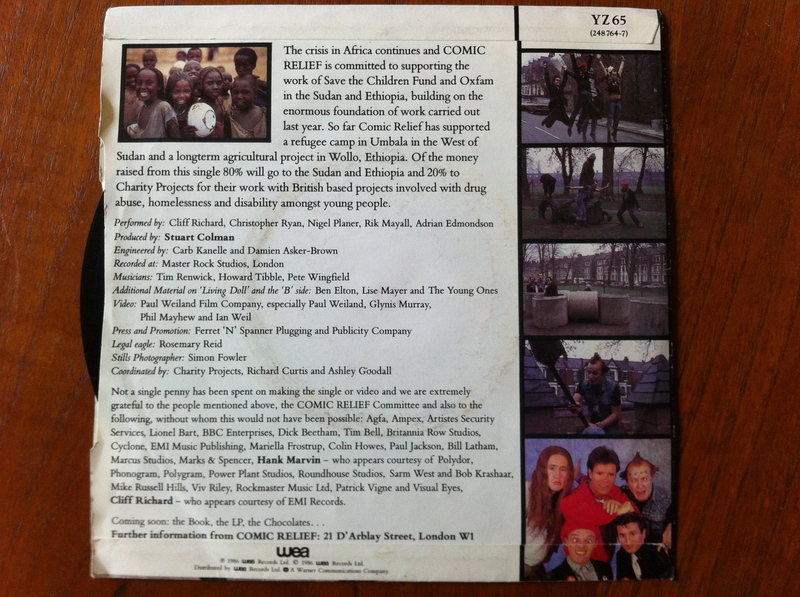 I would’ve read the sleeve notes and been none the wiser as to the identity of Ben Elton and Richard Curtis (for I would not have been allowed to watch Blackadder yet), never mind Lionel Bart or Mariella Frostrup. But I would have played the B-side (“It’s on the tip of my tongue!” “What a STUPID place to keep your guitar!”) just as much as the A-side and relished them both. I still do. I’m afraid/unashamed to admit that “What does this button do? [EXPLOSION]” cracks me up even now. This entry was posted in March 1986 and tagged The hit parade by Ian Jones. Bookmark the permalink.